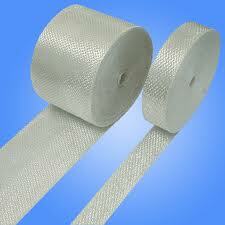 Lusida rubber specializes in manufacturing fiberglass tapes too. These are composed of twisted strands of fiberglass woven at right angles to one another. Their resistance to high temperatures make them ideal for wrapping electrical cable. It is also the tape of choice in hospitals and doctors’ offices, especially for use on casts and bandages. The tensile strength of fiberglass tapes makes them tough enough for use on irrigation lines, pipelines and sewer lines. The advantage is that fiberglass tapes do not rot when exposed to constant moisture.